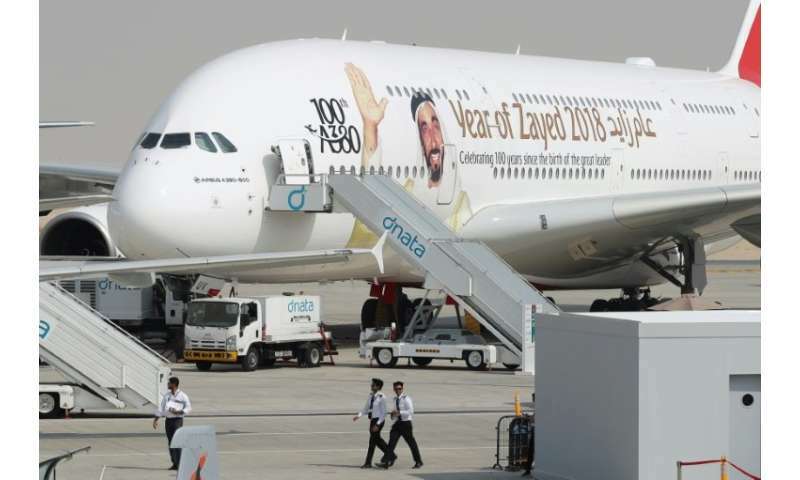 Turning to the A380, sales director, John Leahy, warned that Airbus would have no choice but to halt the programme if Dubai's Emirates airline—the main customer for the superjumbo launched in 2007—did not place another order. Turning to Airbus' overall performance last year, the planemaker insisted that commercial aircraft deliveries in 2017 "were up for the 15th year in a row, reaching a new company record." At the end of 2017, Airbus' overall backlog stood at 7,265 aircraft valued at $1.059 trillion (867 billion euros) at list prices, the company said.